Maybe you have had the experience of walking into a gallery, and feeling a little confused. So much to see, so many paintings, and some are quite confusing. Maybe as you are doing this gallery walk you gaze at a painting, and you say to yourself “ I don’t see why this is on the wall—I don’t get it—a child could have done this.” You keep looking, trying to give attention to each and every work of art presented. You keep looking, but in a few minutes you realize that you have gallery fatigue, and all you can think about is sitting down and having a snack. When you go to a restaurant, you have a menu, and you aren’t expected to order and like everything that is on the menu. When you go to a clothing store, you don’t try on every shirt. So here is a plan for viewing art at a gallery. When you go into the gallery, go quite fast and look at everything for a first glance. Pin point the ones that make you slow down. Ignore the others, and go to that painting that caused you to slow down in the first pass. Stand in front of that painting. Block out all the noise from the others you are with, and block out all the noise from your head. (You don’t have to check your phone for messages at this moment—they will wait.) We are programmed to like stories. A good movie is a story, as well as an “ananasi” folk tale. Stories make sense of the world and help us to pass our values on to the next generation. Now apply this to looking at paintings. What is it about the painting that caught your attention—was it colour, the light, the look on the subject’s face? Maybe it was movement, a familiar scene, something that triggered a fond memory. Let yourself create a story that tells you about this painting. We don’t know who she is, the artist didn’t leave a record of that in his notes. But the look on her face makes us wonder— was she happy or sad, and what was the relationship between the painter and her? From her long observation of this painting, the writer Tracey Chevalier went on to pen a best selling novel, “The Girl with the Pearl Earring”, bringing to the imagination of contemporary 21st century people the life that this girl may have lived in Dutch 17th century. The issues are still the same—love, lust, family, wealth, impoverishment. It is compelling because even centuries later we can relate. Now it is your turn. 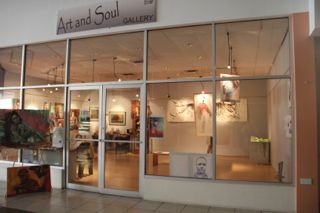 Take a walk through Spiceland Mall in Grenada, and happen by Art and Soul Gallery. After a quick perusal of the room, you come to a small painting sitting on an easel. “Istra with the Pearl Earring” by artist Asher Mains. Is she happy? Sad? What was the relationship to the painter? 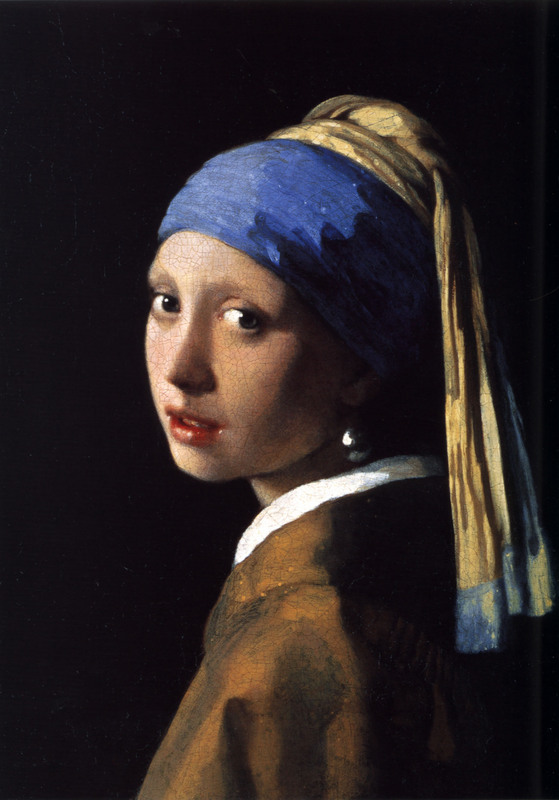 What story would “Istra with the Pearl Earring” inspire? She doesn’t look at you, she gazes to some distant point. What is on her mind, this Caribbean beauty with natural hair? She is intriguing, this girl-woman negotiating the many layers of life that society has laid down. Maybe it is another painting that has caused you to slow your steps. Take your time, you don’t have to spend an equal amount of time with each painting. You are allowed to have your favourite. You are allowed to create your own story. After all, that is one of the purposes of art—to create in the maker and the viewer a bond of imagination that is greater than just one individual, and that can span the centuries.